Leima on Lili of the Valleyn tosi suloinen "Holy Light". Kuuset, lumihiutale ja tagi ovat Joy!n stansseja. Pienet kulkuset ovat viime vuonna ostettuTiimarista. It's time for a Xmas card! Stamp is Lili of the Valley's so cute "Holy Light". Xmas tree, snow flake and tag are dies from Joy!. Otetaan uusiksi, ensimmäin kirjoitus hävisi avaruuteen! What a sweet card! Lovely details. Thank you for joining us at Vintage Utfordring. Gorgeous Christmas card. Lots of fabulous detail. 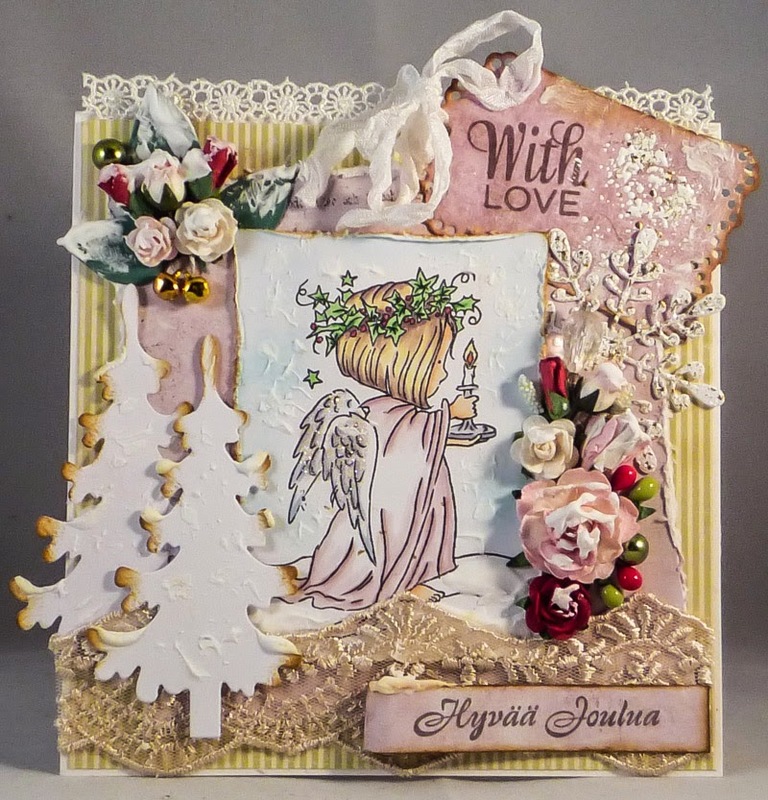 Beautiful X-mas card! The LOTV Christmas images are adorable this year, like every year! :-) Gorgeous use of the accent products. Thanks for joining LLC this month again.